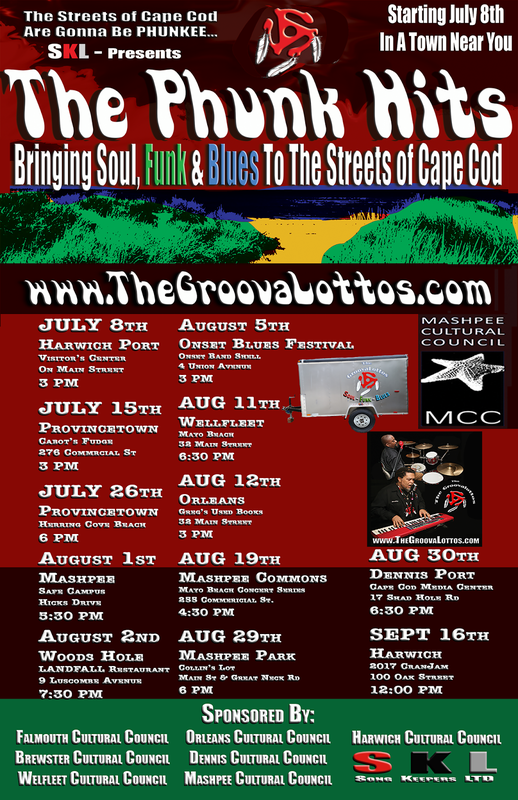 THE PHUNK HITS is a summer concert series, bringing soul, funk and blues music to the streets of Cape Cod, featuring The GroovaLottos and special guest musical performers. The kick-off show will be on July 8th in Harwich Port, MA. THE PHUNK HITS is supported in part by the Truro Cultural Council, WellFleet Cultural Council, Orleans Cultural Council, Brewster Cultural Council, Harwich Cultural Council, Dennis Cultural Council, Mashpee Cultural Council, Falmouth Cultural Council, and WOMR - FM.